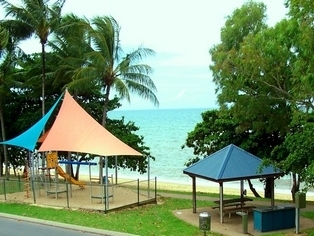 Situated on the Esplanade at Trinity Beach "Cairns Favourite Beach" 20 klm's North of Cairns. 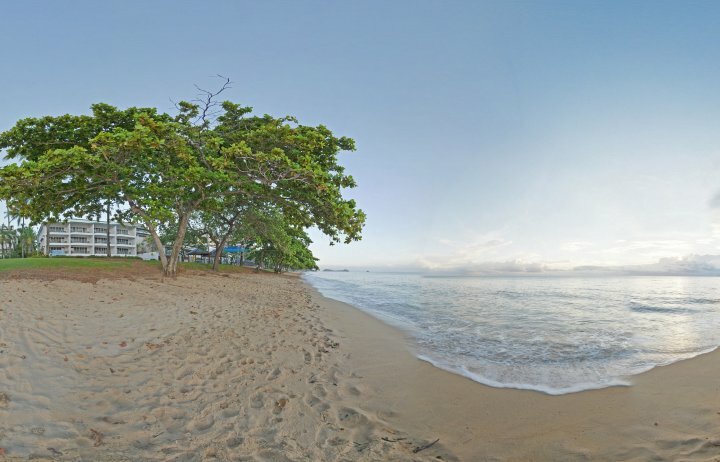 Away from the hustle and bustle of the City with a relaxed village atmosphere is Beachfront on Trinity with the best Oceanviews from every Ocean view apartment. Large Saltwater pool & Spa , Covered B.B.Q. Enternaining area. 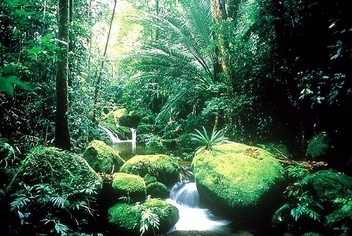 The ideal base to explore the best of Tropical North Queensland, it's magnificent World Heritage Rainforests and the Great Barrier Reef. All tours and car hire can be booked from our on-site tour desk at no extra charge. Airport transfers (small charge) available please email info@trinitybeachfront.com.au with arrival details at least 24 hours prior to arrival. Easy Beach access only 10 seconds to sandy beach. 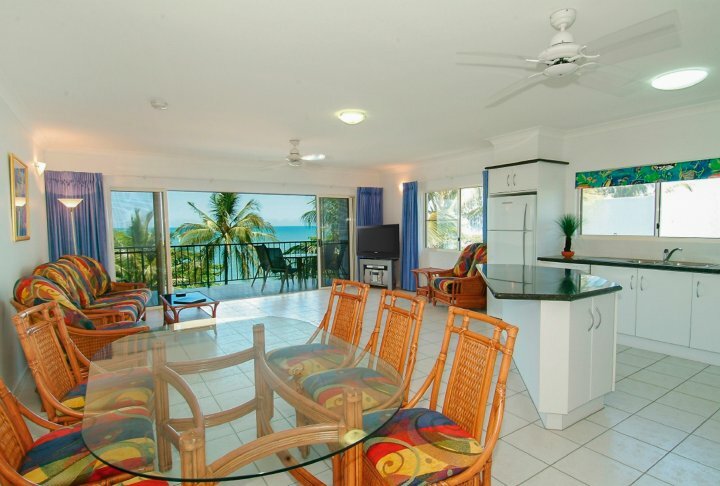 Lift,Sunlounge on Balcony,AIRCON IN BEDROOM AS WELL AS LIVING ROOM .2TVs. DVD,CD, Music system. Full kitchen & Laundry, In-room Wireless Broadband, Easy 2 minute walk to choice of 7 Restaurants and NEW Trinity Beach Tavern with Meals and Gaming room. 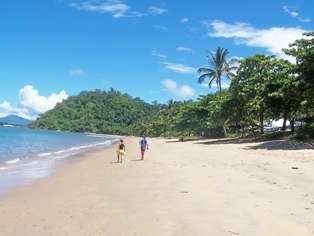 THE BEST VIEWS VALUE AT TRINITY BEACH. GREAT POSITION! BEST VALUE FOR MONEY! Off-street, undercover parking is available free of charge. Your hosts, Julie and Eddie, specialise in local knowledge and regional information. 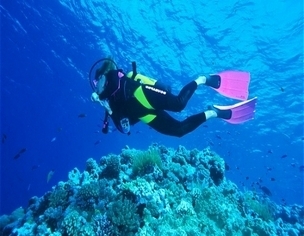 We can arrange tours and activities to suit every budget. 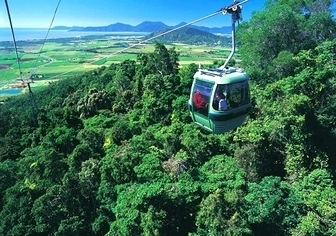 All tours to the Great Barrier Reef, Skyrail, Kuranda Train and Daintree Rainforest pick up daily from Beachfront Apartments and can be booked at our tour desk. 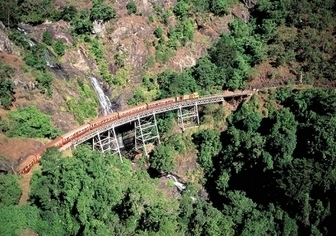 From the airport or the City travel north for about 20km along the Cook Highway past Skyrail and The Smithfield Shopping Centre. On reaching the Trinity Beach round about (not trinity park), turn right into Trinity Beach Road and follow this for about 2km to the beach. 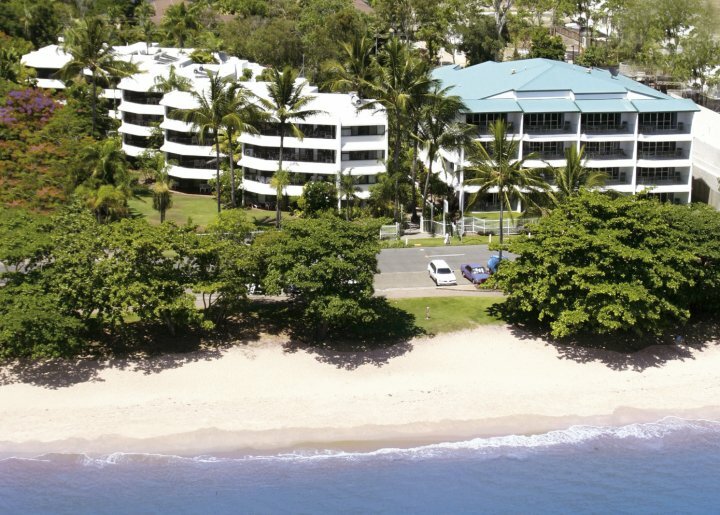 Turn left into Vasey Esplanade and travel 100 mtrs to Beachfront Apartments on Trinity Beach NEXT DOOR TO ROYDON APARTMENTS dial 9 at office / reception for Eddie or Julie. We are close to the shops, restaurants, casual eateries and the Tavern / Bistro. minute walk to 5 eateries / restaurants / and beach Tavern with gaming lounge. Trinity Beach also has it's own shopping centre Supermarket open 7 days a week 7 am to 9 pm. Just 10 minutes walk away. After shopping just ask the supermarket and they will return you and your groceries/supplies back to your apartment in their mini-bus free of charge. 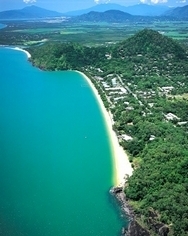 2 International Golf Courses, Skyrail Cableway, Wild World Tropical Zoo, and Tjapukai are just 10 minutes from Trinity Beach and Port Douglas, Mosman Gorge, the Daintree Rainforest and the Cairns Highlands Lakes and Waterfalls are just an hour or less away.